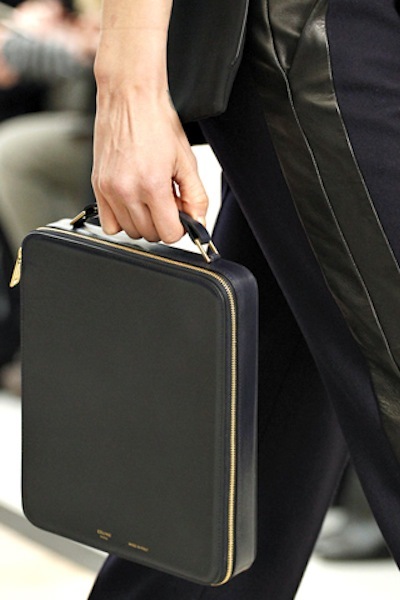 This Celine bag appeals to my former lunchbox-loving self. I love this, but I think I'd like it more in a brighter colour. Also, I don't think it would be all that practical. It looks like it would be difficult to get things in and out of it. Still it's a pretty cool bag. ahhhhhhh, i was in desperate love when i saw this just now (hadn't seen it before), but then claire's comment above slapped a little sense into me. fooey. It's an exact copy of an hermes.